This is a set of 100 special dual LED (Light Emitting Diodes) string lights. The 5 function control unit attached to the string gives the colour options or assorted. They can be hung indoors in a window for example. 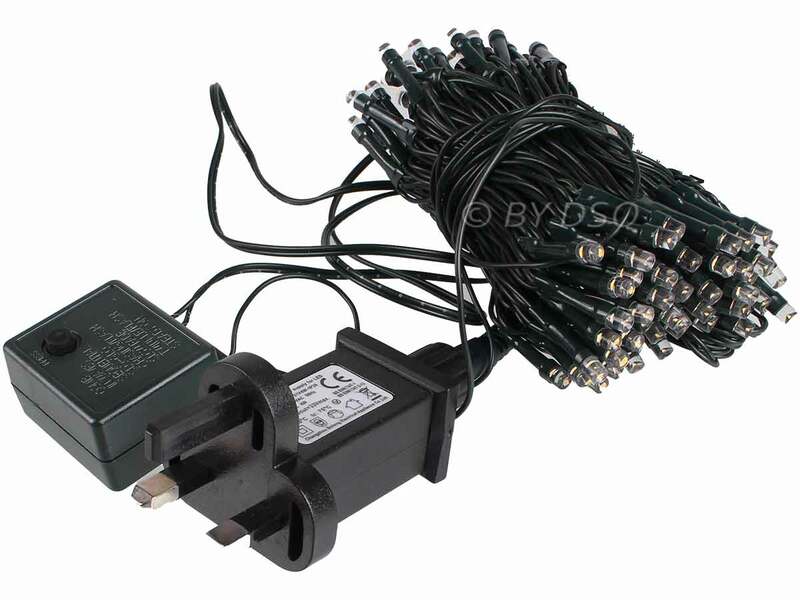 The set also has a generous power cable for flexibility of placement.